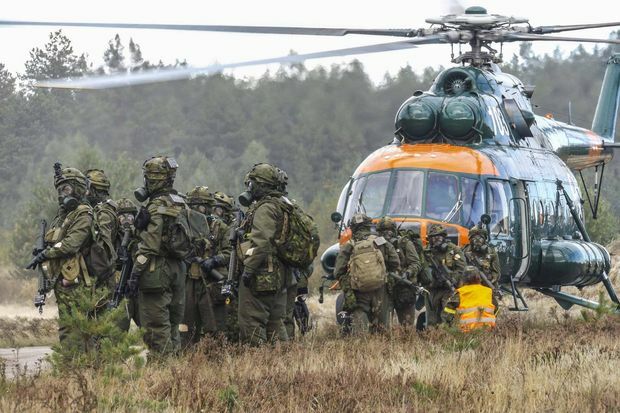 Latvian National Guard troops in small unit training (above). Latvia is fully blended in the mix of defense preparations with its fellow NATO Members, Estonia and Lithuania, to deter or fight Russia and Belarus. A huge military build-up supported by the US, the EU, and NATO has been a necessary step taken by leaders in Riga. However, they are also using diplomacy to search for common ground with Russia and Belarus, and recently signed a defense cooperation agreement with Minsk. Latvia is fully blended in the mix of defense preparations with its fellow NATO Members in the Baltics to deter or fight Russia and its allies. Initiating a military build up supported by the US, the EU, and NATO, with urgency and diligence was a necessary and admirable course for the leadership in Riga to take. Since 2014, Latvia has one of the fastest growing defense budgets in the world. That growth will be sustained until 2018 and will be well over 2 percent GDP by then. Defense is a crucial issue for Latvia, however, there are other dimensions country of great importance to Latvians such as the economy. It problems require significant attention, too! The West has engaged in efforts to ensure Latvia received foreign economic assistance. It has stemmed some problem. Still, that help has essentially been a bromide for Latvia’s economic woes. Worse, it may have slowed Latvia on the road to self-directed stability. Some officials in Riga have developed a dependency on that aid, making plans around it, but not all have. The Republic of Latvia is one of the three Baltic States in Northern Europe. 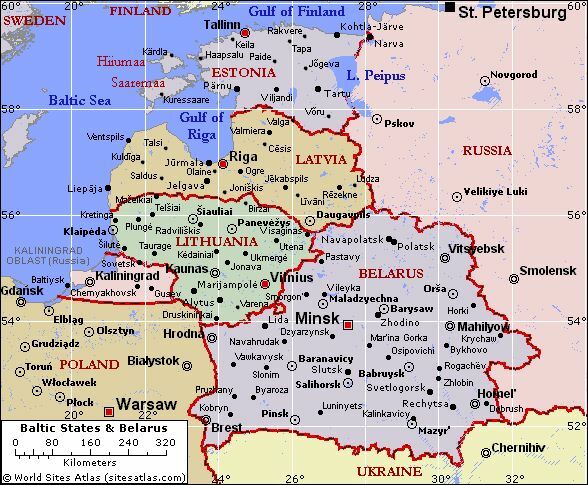 It is bordered by Estonia to the north, Lithuania to the south, Russia to the east, and Belarus to the southeast. Although Latvia, Estonia, and Lithuania are sovereign countries, for decades they have maintained cooperative arrangements. They are linked today. Latvia is fully blended in the mix of defense preparations with its Baltic neighbors Yet, also of great importance to Latvians are economic woes besetting their country. The Republic of Latvia is one of the three Baltic States in Northern Europe. It is bordered by Estonia to the north, Lithuania to the south, Russia to the east, and Belarus to the southeast. Its coastline to the west on the Baltic Sea is 531 km and forms a maritime border with Sweden. Latvia has approximately 1,957,200 inhabitants and a total territory of 64,589 km2. Latvia was originally established as a democratic parliamentary republic in 1918 on 18 November 1918. However, its de facto independence was interrupted during World War II. In 1940, the country was forcibly incorporated into the Soviet Union, invaded and occupied by Nazi Germany in 1941, and re-occupied by the Soviets in 1944 to form the Latvian Soviet Socialist Republic for fifty years. The “Singing Revolution” that started in 1987 called for the Baltic States emancipation from Soviet rule. It ended with the Declaration on the Restoration of Independence of the Republic of Latvia on 4 May 1990, and restoring de facto independence on 21 August 1991. In Latvia, the central government in Riga, the capital, is supreme, and the administrative divisions only exercise powers delegated to them by the Central government. There are 118 administrative divisions, of which 109 are municipalities and 9 are cities. Latvians and Livs are the indigenous people of Latvia. Latvian is the country’s official language. Despite foreign rule from the 13th to 20th centuries, the Latvian nation maintained its identity throughout the generations via the language and musical traditions. A demographic profile of Latvia provided by Index Mundi indicates Latvians comprise 61.1 percent of the population. As a consequence of the Soviet occupation, ethnic Russians comprise 26.2 percent of the population, some of whom are non-citizens. Belarusians make up 3.5 percent of the population, Ukrainians represent 2.3 percent, represent 2.2 percent, and Lithuanians are 1.3 percent. Remaining groups represent 3.4 percent of the population. Until World War II, Latvia had significant minorities of ethnic Germans and Jews. Latvia is historically predominantly Protestant Lutheran, except for the Latgale region in the southeast, which has historically been predominantly Roman Catholic. The Russian population has also brought a significant portion of Eastern Orthodox Christians. Latvia is a member of the EU, NATO, the UN, the Council of Europe, Organization Economic Cooperation and Development, Organization for Security and Cooperation in Europe (OSCE), and World Trade Organization (WTO), the International Monetary Fund (IMF), the Council of Baltic Sea States, Nordic Baltic Cooperation, Nordic Investment Bank. For 2014, Latvia is listed 46th on the Human Development Index and as a high income country as of January 1, 2017. 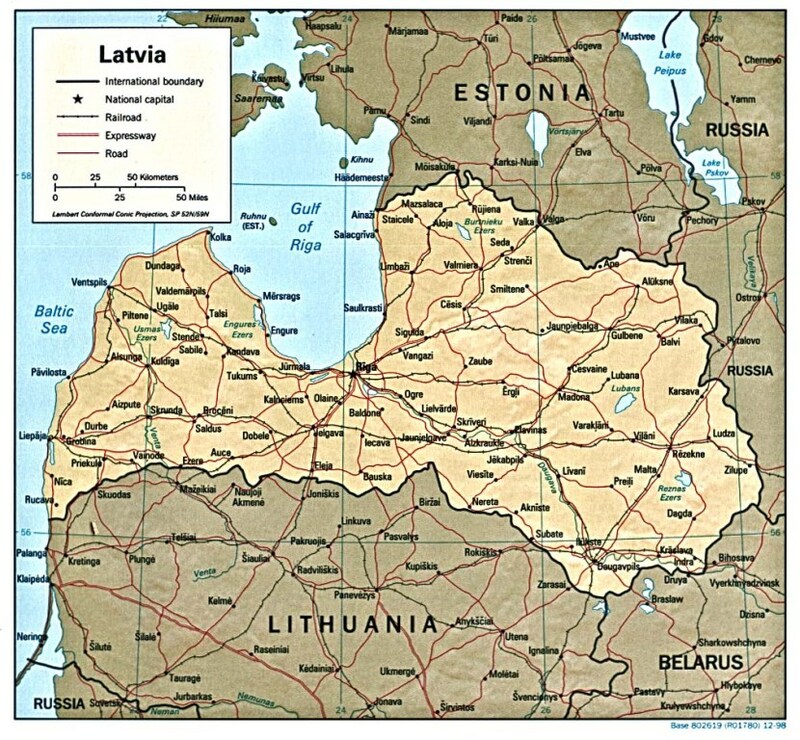 Latvia, Estonia, and Lithuania are often looked upon in the West as a matched set of three countries. To an extent, they are! Although each established its sovereignty separately, the three entered into a cooperative arrangement known as the trilateral Treaty on Concord and Cooperation, signed in Geneva on September 12, 1934. Turbulent events beginning at the start of World War II had all three Baltic States initially sucked into the Soviet Union, then invaded and occupied by Nazi Germany, and finally re-occupied and reincorporated as Soviet republics. The West continued to recognize the sovereignty of the three countries. Following the collapse of the Soviet Union, the Baltic States signed the Declaration on Unity and Cooperation on May 12, 1990 in Tallinn, restoring cooperation between Lithuania, Latvia and Estonia. Pursuant to the Geneva Treaty, the Baltic Council was established in 1990. The Baltic Council of Ministers (BCM), formed at the meeting of Baltic Prime Ministers in Tallinn on June 13, 1994, established an institution of trilateral intergovernmental cooperation. There was also an Agreement on Baltic Parliamentary and Governmental cooperation signed in Tallinn on the same day. These agreements are at the foundation of what is known as Baltic unity. When the Baltic States joined the EU and NATO, the BCM was reformed and adjusted to the changed environment. It still operates under the guidance of the Prime Ministers’ Council, and the Cooperation Council, which comprises the ministers of foreign affairs, and coordinates the activity of the Committees of Senior Officials (CSO). In accord with the Terms of Reference, the Committees of Senior Officials act in five areas of cooperation at the expert level. If necessary, Task Forces are established by the Prime Ministers’ Council. The Prime Ministers’ Council determines specific task to be performed by a Task Force within time parameters. The Secretariat arranges the activities of the BCM. The Secretariat is staffed by officers of the foreign ministries of the three Baltic States responsible for the countries cooperation. Under the initiative of the chairmanship of the BCM, the Secretariat does the preparatory work for the meetings of the Prime Ministers’ Council and Cooperation Council. The chairmanship starts at the beginning of every calendar year. The country with the chairmanship directs work done on all levels of cooperation. Perhaps 2016 was the best year for Latvia to engage in its daring and optimistic diplomacy with Belarus and Russia. Latvia held the BCM chairmanship and presided over the Baltic Assembly (BA). The BA is an international organization established on November 8, 1991 aimed at promoting cooperation between the Baltic States’ parliaments. The BA works under a statute entered into force on October 31, 1993. The Protocol amending the Agreement on Baltic Parliamentary and Governmental Cooperation was signed on November 28, 2003 in Vilnius. The Baltic Council is an annual joint meeting held by the BCM and the BA. This meeting includes a session of the BA, a meeting between the Presidium of the BA and Cooperation Council of the BCM, and a meeting of the Cooperation Council of the BCM. A report by the Chairman of the Cooperation Council to the BA session must be prepared on: cooperation between the Baltic States in the previous year; activities related to the resolutions adopted by the BA during the current year; and, plans for future cooperation. Although Latvia was open enough to engage in diplomatic efforts with Belarus and Russia while at the helm of the BCM and BA, its approach to those countries did not lead Estonia and Lithuania to take similar action. There was certainly no abatement of Estonia and Lithuania’s fears over Russian and Belarusian actions and intentions. Albeit as a result of the precarious economic situation it has faced for nearly a decade, Latvia, to make use of a phrase from the Bundesliga, carries the red lantern among the Baltic States. From 1999 to 2007, Latvia had one of the highest GDP growth rates in Europe. However, the Latvian economy entered a phase of fiscal contraction during the second half of 2008 after an extended period of credit-based speculation and unrealistic appreciation in real estate values. Growth was mainly driven by growth of domestic consumption, financed by a serious increase of private debt, as well as a negative foreign trade balance. The prices of real estate, which were at some points growing by approximately 5 percent a month, were long perceived to be too high for the economy, which mainly produces low-value goods and raw materials. Ignoring recommendations from the IMF and others to break their peg to the euro and devalue the currency, the Latvians instead embarked on a brutal programme of “internal devaluation,” improving competitiveness by slashing wages and prices. After losing access to capital markets, and accepting a $10.5 billion bail-out from the IMF and the EU, the government implemented an austerity plan worth 17 percent of GDP over four years. Problems were exacerbated by the global economic crisis, shortage of credit and huge money resources used for the bailout of Parex bank. In 2008, Parex, then the second-largest bank in Latvia, was nationalized. In the end, Latvia had to take $2.35 billion in aid from the IMF for the bank’s bail out. The Latvian economy fell 18 percent in the first three months of 2009, the biggest fall in the EU. The unemployment rate in Latvia rose sharply in this period from a low of 5.4 percent in November 2007 to over 22 percent. In April 2010, Latvia had the highest unemployment rate in the EU, at 22.5 percent. In July 2012, the IMF concluded that the First Post-Program Monitoring Discussions with the Republic of Latvia, announcing that Latvia’s economy was recovering strongly since 2010, following the deep downturn in 2008–09. However, while some in the West define Latvia as a success, others call it the best example of an apparent Western tendency to cloak disaster with positive statements. Net economic growth in Latvia had been nonexistent since 2006. Reportedly, the collapse was severe enough that Latvia still had not returned it to its pre-crisis peak of activity. Latvia should have labeled a catastrophe. Even now, unemployment is around 9.5 percent, which is still high and real wages are about 5 percent smaller than they were back in 2007. Even more alarming for the country’s long-term economic prospects is loss of Latvia’s loss of more than 300,000 people since 2000. Its population has dropped from around 2.3 million to about 2 million. Many Latvians were prompted to seek out better opportunities in the rest of the EU due to the financial crisis. In 2014 the GDP of Latvia was $31.3 billion and its GDP per capita was $23,500. Latvia is the 78th largest export economy in the world and the 34th most complex economy according to the Economic Complexity Index (ECI). Records indicate Latvia increased exports at an annualized rate of 12.3 percent, from $7.98 billion in 2009 to $14.3 billion in 2014. Imports stood at $17.2 billion, resulting in a negative trade balance of $2.93 billion. The top exports of Latvia are Refined Petroleum ($1.22 billion), Sawn Wood ($730 million), Crude Petroleum ($644 million), Hard Liquor ($556 million) and Broadcasting Equipment ($394 million), using the 1992 revision of the HS (Harmonized System) classification. Its top imports are Refined Petroleum ($2 billion), Broadcasting Equipment ($666 million), Petroleum Gas ($600 million), Cars ($599 million) and Packaged Medicaments ($519 million). The top export destinations of Latvia are Lithuania ($2.31 billion), Russia ($1.3 billion), Estonia ($938 million), Belarus ($854 million) and Germany ($851 million). The top import origins are Lithuania ($2.69 billion), Russia ($2.02 billion), Poland ($1.74 billion), Germany ($1.71 billion) and Estonia ($1.17 billion). The top import origins of Latvia are Lithuania ($2.69 billion), Russia ($2.02 billion), Poland ($1.74 billion), Germany ($1.71 billion) and Estonia ($1.17 billion). Most transit traffic in Latvia uses the ports of Riga, Liepāja, and Ventspils (above). Half the cargo is crude oil and oil products. In addition to road and railway connections, Ventspils is also linked to oil extraction fields and transportation routes of Russian Federation via a system of two pipelines. The Russian state-owned pipeline operator Transneft plans to halt oil product operations at Ventspils and Riga as of 2018. Its chief executive officer said by 2018 Russia’s cargo flow to the Baltic States will be zero. Latvia’s transport sector is around 14 percent of GDP. Transit between Russia and Belarus is considerable. Three biggest ports of Latvia are located in Riga, Liepāja, and Ventspils. Most transit traffic uses them and half the cargo is crude oil and oil products. Ventspils is one of the busiest ports in the Baltic States. Along with its road and railway connections, Ventspils is also linked to oil extraction fields and transportation routes of Russian Federation via system of two pipelines from Polotsk, Belarus. Latvia operates Inčukalns underground gas storage facility, one of the largest underground gas storage facilities in Europe and the only one in the Baltic States. However, the future of Latvia’s transport and energy sectors appears uncertain. Riga has sought to meet EU regulations and reduce its dependence on energy supplies from Russia. However, that process has created the opportunity for Russia to essentially pull the rug from under Latvia. The Russian state-owned pipeline operator Transneft plans to halt oil product operations at Latvia’s ports of Ventspils and Riga as of 2018, and redirect volumes to the Russian Baltic Sea ports of Ust-Luga and Primorsk and the Russian Black Sea port of Novorossiisk. During a meeting with Russian Federation President Vladimir Putin, on September 13, 2015, Transneft’s chief executive officer, Nikolai Tokarev, said, “We will re-orient the cargo turnover from the Baltic ports of Ventspils, Riga to our Baltic ports–of Ust-Luga and Primorsk–as well as to Novorossiisk.” Tokarev predicted turnover at Latvia’s ports would shrink to 5 million metric tons (mt) in 2016 from 9 million mt in 2015. He further stated “By 2018 we will reduce this cargo flow to the Baltic states to zero. We will fill up our ports, because there is capacity surplus.” Transneft plans to convert some of the pipeline capacity not being used for crude to transport oil products to Primorsk and Novorossiisk. Currently, a former crude pipeline, the Yaroslav-Kirishi 2, is being converted to carry diesel to Primorsk and is due to be operational in October. The converted pipeline, which will run along the already functioning Kstovo-Primorsk trunk, will allow Transneft to expand the capacity of the so-called North, or Sever, diesel pipeline running to the Baltic port of Primorsk to 25 million mt per year from November 2017, earlier than the previously planned 2020. Russia exports only diesel via pipeline, with currently two pipelines shipping Euro 5, or 10 parts per million (ppm) max sulfur diesel, to the Baltic ports of Primorsk and Ventspils. Gasoil continues to be shipped by rail, but Baltic ports have become an outlet for a large proportion of all ultra low sulfur diesel supply to Northwest Europe. Last October, the pipeline to Ventspils fully switched to 10 ppm diesel flows. Russian products flows through the Baltic ports – Sillamae, Klaipeda, Riga, Tallinn, had all been shrinking. Russia halted crude exports via Ventspils more than a decade ago, but continued to ship gasoil and subsequently ULSD via the pipeline to the Latvian port. However, transshipment volumes through Ventspils Nafta Terminals on the Baltic Sea have also been dwindling. 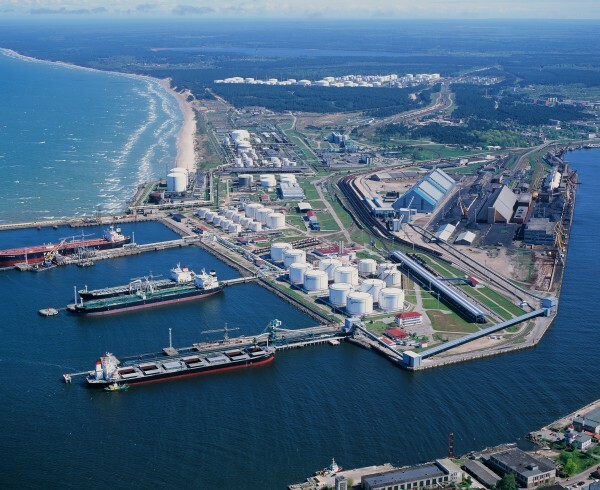 Ventspils, which is majority owned by trader Vitol, handled 4.29 million mt of oil products in the first half of the year, down 27.3 percent from a year earlier. Russian pipeline volumes continued their downward trend in the first half of 2016, with LatRosTrans transporting 2.4 million mt, down from 2.98 million mt in the first half of 2015. The terminal also handles products delivered by rail from Russia and Belarus. According to traders, it is now being filled with ultra low sulfur diesel. Latvia’s Incukalns underground gas storage facility (above) is one the largest in Europe. It was built during the Soviet era to meet the region’s needs, including northwestern Russia. However, Incukalns entered th 2016-2017 winter season one-third empty. Total injections have dropped to 1.25 billion cubic metres (bcm) from 1.6 bcm in 2015 and 1.9 bcm in 2014. At the end of the 2016 injection season, it had 1.53 bcm of gas in storage, the lowest level since 2000. 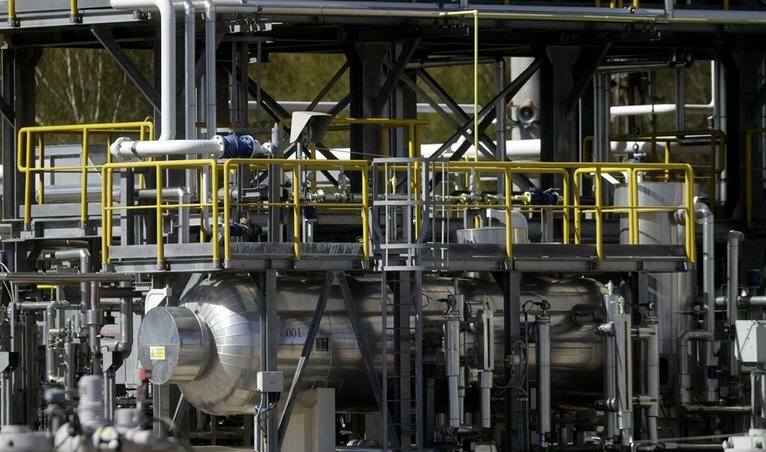 The future of Latvia’s energy sector is uncertain. However, some Russia experts do not believe that Putin is driven by the failure of the West to honor its post-Cold War commitments to Russia. Hillary Appel of Claremont McKenna College asserts that Russia has a centuries old habit of devouring for bordering countries as the Latvia, Estonia, and Lithuania as a means of ensuring its physical control of their territory. She explains that was Russia built its empire that way. It was a stratagem quite different from that of Britain and France, whose empires were built upon the conquest of distant, unconnected territories on other continents. Russia’s approach left it the largest country in the world geographically, even after the republics of its Soviet empire sought independence. Appel proffers that after ascending to power, Putin in words and deeds as both Prime minister and president refused to accept the further dissolution of Russian controlled territory, and through what she describes as tremendous brutality and violence in Chechnya, thwarting Chechen designs for independence. Paul Miller of the University of Texas, explains that Putin is not driven by cold calculations of rational self-interest, because no human is. Putin believes hegemony over Russia’s near-abroad is necessary for Russian security because of his beliefs about Russian nationhood and historical destiny. Putin and his advisers are not mere nationalist. Miller believes Putin and his advisers may be driven by “peculiar form of Russian nationalism infused with religion, destiny, and messianism.” As part of that narrative, Russia is the guardian of Orthodox Christianity and has a mission to protect and expand the faith. Miller believes that a truly rational Russia would not see NATO and EU expansion as a threat, because the liberal order is open and inclusive and would actually augment Russia’s security and prosperity. If Putin and his advisers see the world through the prism of Russian religious nationalism, Miller states, “the West is inherently a threat because of its degeneracy and globalism.” Indeed, to them, Miller proffers, “NATO is not the benign guarantor of liberal order in Europe, but the hostile agent of the degenerate West and the primary obstacle to Russian greatness.” To that extent, Putin’s grand strategy, Miller says, requires breaking NATO and making the Article V mutual security guarantee meaningless.Putin has already succeeded in eroding NATO’s credibility. His last two targets, Georgia and Ukraine, were not NATO members, but in 2008 had been explicitly and publicly assured that they would be granted Membership Action Plans. By occupying those countries Putin has assured they would never join NATO in the near term as Miller asserts no country will ever join NATO while being partly occupied by Russia. The Baltic States are NATO Members. Due to that, Miller explains that Putin would unlikely send large formations of uniformed Russian soldiers over the international border as even the most cautious NATO members will not ignore an overt conventional invasion. Miller believes Putin will instigate an ambiguous militarized crisis using deniable proxies, probably in the next two years. Miller outlined what might be observed as follows: 1) Perhaps many among the 25 percent of Latvians or Estonians who are ethnically Russian will begin rioting, protesting for their rights, claiming to be persecuted, and asking for “international protection;” 2) A suspiciously well armed and well trained “Popular Front for the Liberation of the Russian Baltics” will appear; 3) A few high-profile assassinations and bombings bring the Baltics to the edge of civil war. 4) A low-grade insurgency may emerge. 4) Russia will block all UN Security Council resolutions, but will offer its unilateral services as a peacekeeper; 5) The North Atlantic Council will meet. 6) Poland will lead the effort to invoke Article V, declare the Baltics under Russian attack, and rally collective defense against Russian aggression. 7) The Germans and French will fiercely resist. Everyone will look to the US to see which way the alliance leader tilts. 8) If the Alliance does not invoke Article V, NATO’s mutual security guarantee becomes functionally meaningless. 9) No NATO Member will put any faith in the treaty to guarantee it’s own defense against Russia in the future. Some Eastern European countries may choose to join up with Russia. 10) Others, starting with Poland, will begin arming to the teeth. In January 2016, the Russian Defense Ministry announced the formation of a new Baltic command, which would have 60,000 troops—three motor rifle divisions—stationed near the western region of Russia, bordering Estonia, Latvia, and Lithuania. In addition, Russia is expanding its Baltic Fleet and has deployed a new generation of surface-to-air missiles into the Kaliningrad region, bordering on Poland and Lithuania. Kaliber missiles can launch nuclear warheads. The Russian warships Serpukhov and Zeleny Dol were recently added to the Baltic Fleet, armed with long-range, new-generation cruise missiles. Russia even held four days of civil defense drills, involving 40 million Russian citizens, underscoring the country’s readiness for war. The most recent maneuvers by the Baltic Fleet involved a simulated attack on US warships in the Sea. Many in the Baltics feel they will fall prey to the same territorial ambitions Russia displayed in Crimea in 2014. Under a new State Defense Concept, Latvia’s defense budget will be increased to 2 percent of GDP by 2018. It earmarked 20 percent of the budget for purchasing new equipment. It also states the Armed Forces in peacetime will number 17,500 men to include: 6,500 from the professional ranks; 8,000 from the National Guard troops; and, 3,000 from the reserves. Many in the Baltic States feel they will be next to fall prey to Russia’s territorial ambitions, which it demonstrated by annexing Crimea in 2014. When one hears the tempest swirl, it is rational to prepare a defense against the storm. At the core of Latvia’s national security concerns is the threat from Russia. Factors influencing that perspective include Russia’s annexation of Crimea, the clandestine war in eastern Ukraine, and Moscow’s heightened military force on patrol off the coasts of the Baltics and Western Europe. Western analysts conclude the Russia’s deployment of nuclear capable Iskander missiles to its Kaliningrad province between Poland and Lithuania underscored Moscow’s efforts to intimidate the Baltics and the West. Much as all other European countries, Latvia must also devote new attention to the continuing encroachment of the ISIS threat from the Middle East. The developing security environment has driven Latvia to give greater attention to security policy and the strengthening of defense capabilities on the national and international levels. Membership in NATO and the EU play a decisive role in Latvia’s security policy, and Latvia is actively participating in these organizations as well as bilaterally with its allies in order to bolster its own security and the security of its region. In this regard, Riga accepts that it is in Latvia’s national interest to establish arrangements for a sustained NATO military presence on Latvian territory that in turn bolster both the deterrent posture and real defense of the alliance against the Russian threat. Of equal importance is increasing the capabilities of NATO rapid reaction forces to better enable them to assist all member states in an emergency. Latvia welcomed the increase in the NATO Response Force (NRF) to 40,000 troops which are ready to respond in a few days’ time. Some 5,000 troops of the NRF serve in the Very High Readiness Joint Task Force (VJTF) which is ready respond to any Russian moves on Europe’s eastern front within hours. Latvia is one of six NATO members in which NATO Force Integration Units (NFIUs) have been established. In an emergency, these units would be instrumental in facilitating the rapid deployment of military combat forces, ensuring that they could operate effectively on Latvia’s land and sea and in the air. Additionally, the NFIUs allow regional NATO Members to implement a coordinated program for military exercises. In addition to conventional attack, Latvia, much as Paul Miller prognosticated, might be facing foreign efforts at subversion and insurgency, characteristic of hybrid warfare. Reportedly, Russia, using hybrid warfare, has sought to destabilize governments and societies by direct means and other elements as well. Those other elements may include cyber-attacks, disinformation and propaganda campaigns, intelligence operations, the application of coercion ranging from economic pressure to the leverage using energy supplies as an instrument, the use of disguised military personnel, and the use of terrorists and armed groups as proxies for various types of attacks. Plans for Latvia’s response to both the conventional and hybrid attacks have been coalesced in a new national security strategy, the 2016 State Defense Concept. The Concept specifies eight major challenges for Latvia’s security and measures to prevent them: external challenges, foreign intelligence and special services, military threats, threats to social unity, threats to information community, economic challenges, international terrorism and cyber-terrorism. Latvia’s priorities are to reinforce its borders, to improve its refugee policy and to prevent radicalization risks. To thwart threats posed by foreign intelligence and special services, the Concept indicated that Latvia should develop its national security and counterespionage services and should undertake preventive policies. The country should also develop public mass media, reduce the influence of Russian mass media specifically, control foreign investment, and ensure stable energy supplies. Since hybrid warfare can be used independently or in tandem with conventional military attacks, Latvia actively contributes to NATO and EU efforts to seek the most effective solutions to counter hybrid threats, including in the information space. 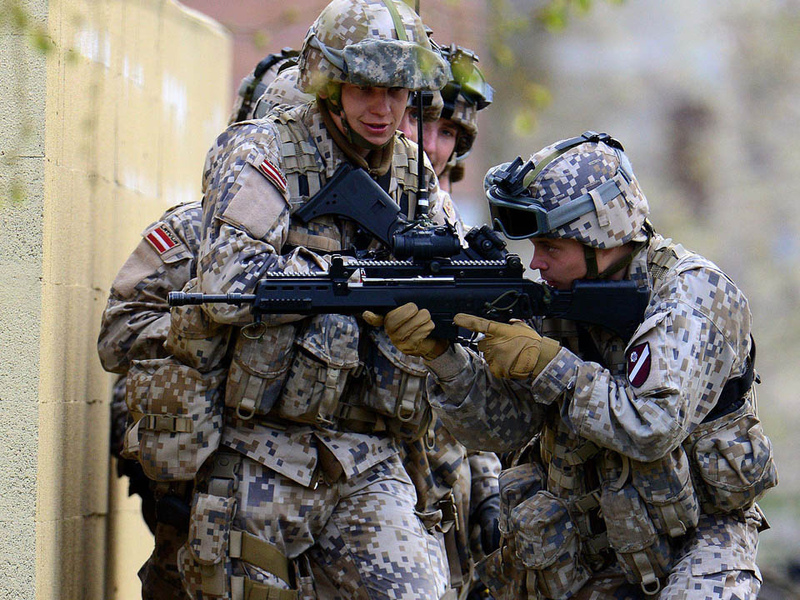 Latvia’s defense budget will be increased to 2 percent of GDP by 2018, according to the Concept. 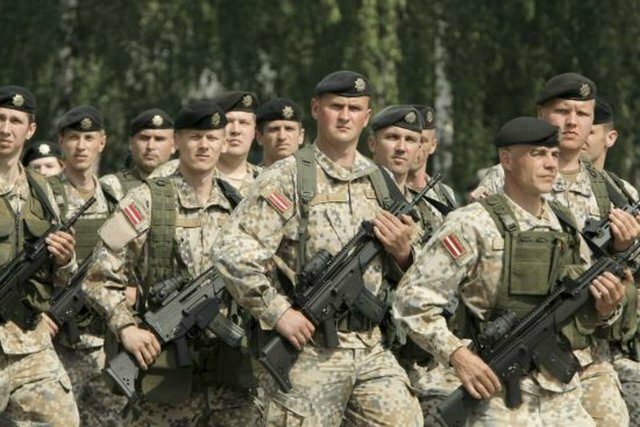 The strategy further states that the Latvian Armed Forces in peacetime will number 17,500 men which will include 6,500 from the professional ranks, 8,000 from the National Guard troops and 3,000 from the reserves. Moreover, 20 percent of the defense budget will be earmarked for the purchase of new equipment. Priorities concerning the armed forces included the strengthening the operational capability of the Latvian Armed Forces, the further integration of the National Guard within the Armed Forces, strengthening the Special Tasks Unit–special operations forces–as well as boosting early-warning capabilities, airspace surveillance and air defense. Finally, the document emphasizes the integration and regional cooperation of the three Baltic States’ militaries. On June 16, 2016, Latvia’s Saeima approved the government’s national security strategy. 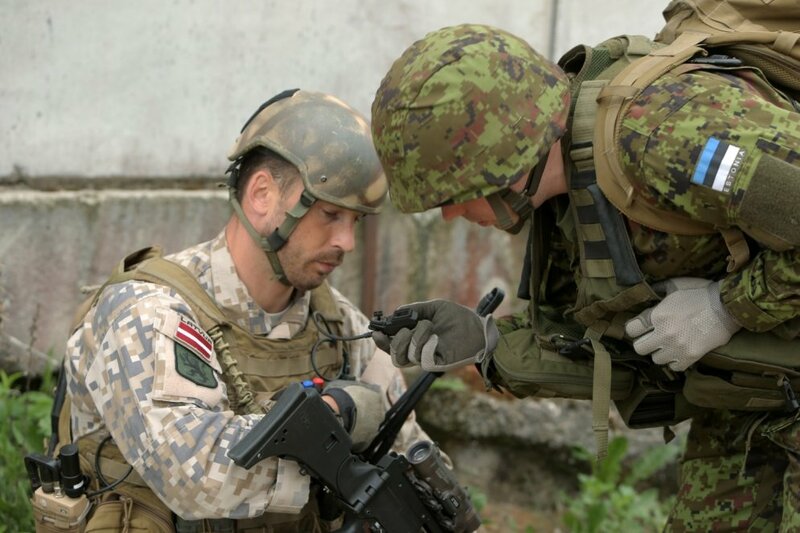 A Latvian soldier and Estonian soldier perform check their equipment (above). The Latvian Armed Forces’ priorities include bolstering its operational capabilities, the further integration of the National Guard within the Armed Forces, strengthening the Special Tasks Unit–special operations forces–as well as boosting early-warning capabilities, airspace surveillance and air defense. Emphasis is also being placed on the integration and regional cooperation of the Baltic States’ militaries. At the Summit Meeting of NATO Heads of State and Government from July 8 to July 9 2016 in Warsaw, Poland, it was agreed that combat forces would be deployed into the three Baltic States and Poland. That force will consist of seven combat brigades, including three heavy armored brigades, backed up by air power and land fire. In February, a US battalion task force of about 900 soldiers from Viselk, Germany, accompanied by smaller United Kingdom and Romanian units, will be deployed to Orzysk, Poland. 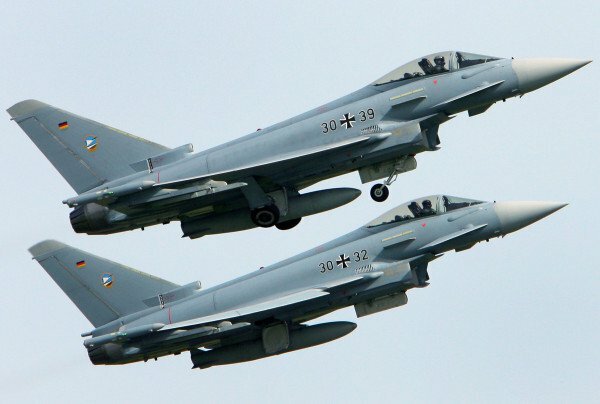 That force will be backed by United Kingdom Typhoon fighter jets, which will begin patrols over the Black Sea. They will be joined in Europe later by a brigade combat team from Fort Carson, Colorado equipped with tanks and other heavy equipment and a combat aviation brigade from Fort Drum, New York. All of the US troops are scheduled to be in place by June 2017. The United Kingdom will send a battalion of 800 troops to Estonia. It will be supported by French and Danish troops starting from May 2017. Canada will send 450 troops to Latvia, who will joined by 140 troops from Italy. Germany has promised to send between 400 and 600 troops to Lithuania, along with forces from the Netherlands, Norway, Belgium, Croatia and Luxembourg. The deployment will cost NATO Member States $2.7 billion a year. The US Navy has deployed four Arleigh Burke class destroyers equipped with AEGIS missile defense systems to Rota, Spain. A separate land-based AEGIS system is being constructed in Romania on the Black Sea. After the Baltic States joined NATO in 2004, the immediate commitment of alliance its three new members was nonstop policing of their airspace. Initially, Baltic Air Policing was conducted by NATO Member States on a three-month rotation from Lithuania’s First Air Force Base in Zokniai/Šiauliai International Airport, near the northern city of Šiauliai, and starting 2014 at the Ämari Air Base in Harju County, Estonia. Starting with the Turkish deployment, rotations changed to a four-month basis. Usual deployments consist of four fighter aircraft with between 50 and 100 support personnel. However, all member nations contribute in some form to the NATO Air policing, be it through the use of national aerial surveillance systems, air traffic management, interceptor aircraft or other air defence measures. NATO Air Policing requires making an Air Surveillance and Control System, an Air Command and Control structure and Quick Reaction Alert (Interceptor) aircraft continuously available. In War as I Knew It, US Army General George Patton explained, “We should not plan and then try to make circumstances fit those plans. Instead we should make plans to fit the circumstances.” Despite the Baltic Air Policing and beefed-up ground deployments opposites Russian forces in the Baltics and elsewhere, there are many Western defense analysts who believe that the NATO response is too weak, and, as the result, is an invitation for Russia to take aggressive action. Upon hearing that, some officials in Riga might begin to consider what can really been gained by its robust military build-up. In his assessment for CNN, Shirreff called for a much larger NATO deployment into the Baltics and Eastern Europe, one that would represent a credible deterrent, rather than a token force that could be over-run within hours. The Supreme Allied Commander in Europe, US Army General Curtis Scaparrotti has agreed with Shirreff, but has not specified the force size and composition required to provide a credible deterrent. A RAND study assessed that Russian Federation forces could smash through NATO defenses and drive on targets such as Riga or Tallinn within 36 to 60 hours, leaving the US and NATO Allies with three equally unpalatable options. NATO could launch a prolonged counter-offensive to take back the Baltic capitals; NATO could threaten Moscow with direct attack; or NATO could accept the outcome of the Russian strikes and devise a long-term counter-strategy. Has Latvia Found a Self-Directed Path? Animus in consulendo liber. (Free spirit to decide.) When he told the New York Times, “I don’t think there is a plausible scenario for Russia invading the Baltics,” Kalnins revealed much. Latvia serves as an element of what is essentially a militarized buffer between the West and possible aggression from the east. However, Riga may want to dial down from the hardline stance it has been taking and no longer be almost singularly engrossed in military affairs. Regarding diplomacy, the most important mission of Latvian diplomats has been creating arrangements for a long-term NATO military presence in Latvia as a defense against any threats to its territory and bolster alliance defenses from the east as well. Apparently, Latvia’s leaders would like to use diplomacy to enhance established bilateral ties with Belarus and Russia. Before diplomatic efforts of this type actually began with Belarus, and to some degree with Russia, the Latvian Ministry of Defense publicly indicated that it would not exclude engaging in dialogue in order to promote trust between two countries. Moreover, Riga seemed to hope delicate and simple talks with Belarus and Russia could have some palliative effect and convince them that Latvia and the other Baltic States pose no threat to their interests. Riga would certainly like for them to be assured that Latvia would not provide an prospective avenue upon which the West would invade Russia. 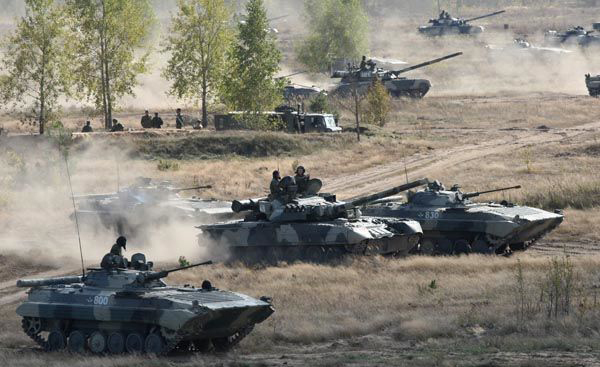 An invasion from its direction was among attacks prognosticated by the Russian Federation General Staff in their Plan of Defense of the Russian Federation. During an official visit to Latvia by the Belarusian Minister of Defense, Lieutenant General Andrei Ravkov on December 5 to December 6, 2016, Latvia and Belarus signed an agreement on defense cooperation. Prior to the meeting, Latvian Defense Ministry announced that the text of the agreement that involved Latvia and Belarus would not be released, a standard practice. 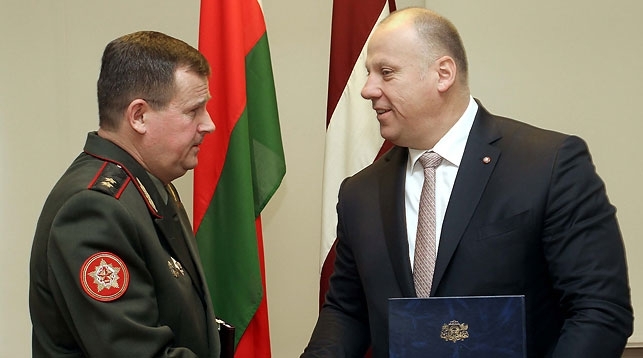 However, it was also indicated before the meeting that the agreement would concern defense cooperation between the Latvian Ministry of Defense and the Belarus Ministry of Defense. The goal would be to promote cooperation between both countries in the fields of international security and defense policy, airspace surveillance, arms control, NATO’s Partnership for Peace program activities, military medicine, as well as environmental protection, cultural and sports activities in the armed forces. Ravkov’s visit also included congenial meetings between Latvian Minister of Defense Raimonds Bergmanis and Minister of Foreign Affairs Edgars Rinkevics. The parties discussed a wide range of issues, including bilateral military cooperation. The Belarusian delegation also visited a school in the city of Cesis that trains instructors for the National Armed Forces of Latvia. While the two countries have enjoyed what the Latvian Defense Ministry described as “fruitful cooperation” since 2004, to include a series of exchange visits and inspections taking place on both sides of the border, the signing of the agreement represents the creation of a new dimension of that relationship. From December 5 to December 6, 2016, Belarusian Minister of Defense, Lieutenant General Andrei Ravkov made an official visit to Latvia. The visit included congenial meetings between Latvian Minister of Defense Raimonds Bergmanis and Minister of Foreign Affairs Edgars Rinkevics. Before Ravkov left, Latvia and Belarus signed an agreement on defense cooperation. With the aim of promoting mutual openness and trust in military matters, a press release from the Latvian Ministry of Defense stated “the Latvian side offered in addition to the existing provisions of arms control, resulting from the OSCE’s Vienna Document, one further arms control evaluation visit and one inspection of Latvian-Russian border areas . . . .” Latvia also reportedly called upon Russia “to declare its readiness for greater transparency in military activities, not only in words but also in deeds.” There was no mention of what such “deeds” might be. The Russian Federation Ministry of Defense announced that there was a meeting of Defense experts in Riga on December 8th but it did not elaborate on the substance of the talks. 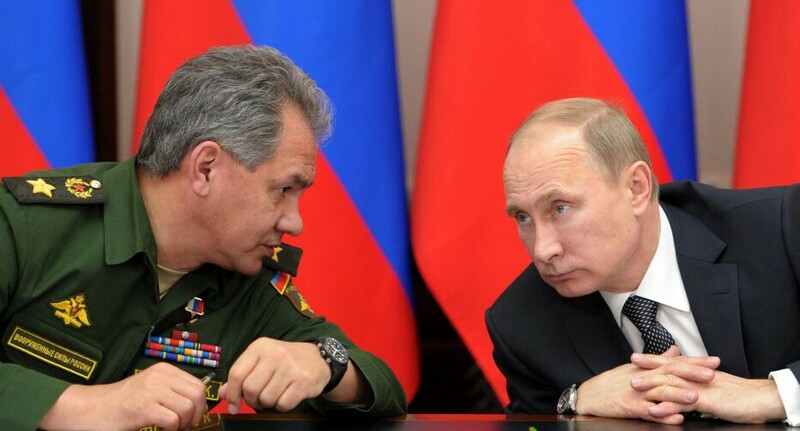 While immediate gains of the meeting with Russian Federation Ministry of Defense officials were small relative to the product of the recent meetings and agreement with Belarusian Ministry of Defense officials, its importance must be measured by the fact that formal military cooperation between Russia and Latvia had been suspended since Russia’s 2014 action in Crimea. Officials agreed to continue the dialogue between defense ministry experts of both countries. Latvia (shaded gold) and its neighbors. The Latvian Ministry of Defense said on December 8, 2016, its officials met with high-level Russian Federation Ministry of Defense officials to talks in Riga. The meeting’s aim was to discuss what the Latvian Ministry of Defense said were “serious questions about the intentions of the neighboring country, including large-scale training on the Latvian border.” Russia announced defense experts met in Riga but gave no details on their talks. Threat identification and threat inflation are key elements in international affairs. As a result, over the last several decades, alarmism has been prominent in thinking about international security. However, deciding whether a threat is truly urgent and important is difficult, and has potential pitfalls. John Mueller of the CATO Institute explained that alarmism, when successfully generated, very frequently leads to two responses that are serially connected and often prove to be unwise, even dangerous. First, a threatening event is treated not as an aberration, but rather as a harbinger indicating that things have suddenly become much more dangerous, will remain so, and will become worse — an exercise that might be called “massive extrapolation.” Second, there is a tendency to lash out at the threat and to overspend to deal with it without much thought about alternative policies including ones that might advocate simply letting it be. Many in the Baltic States feel that they may fall prey to Russia’s territorial ambitions. The threat that Russia poses to the Baltic States is authentic, and when one hears the tempest swirl, it is rational to prepare a defense against the storm. Clearly, Riga believes that there are options other than simply preparing for all out war or appeasement, particularly given its economic circumstances. Stating that Latvia has the right decide how to proceed with its foreign and defense policy as well as its economic development may seem analogous to lending light to the sun. Still, while Riga has the freedom to act as it chooses, it may have felt, and may still feel, a bit constrained about moving confidently toward overtures and bilateral talks. In an apparent effort to show deference to those partners, it has moved in that direction at a deliberate pace. Talks and agreements may appear to some friends and foes alike as cracks in shield against potential Russian aggression. However, nothing that Latvian officials have ever said would lead anyone to think Riga would accept what might be called poor Russian behavior.